Visited the Springville Museum of Art yesterday, where (by some miracle) two of my little quilts were curated into their prestigious Quilt Show, on display through September 16th. and Bloomin' Blossoms (← pattern info). 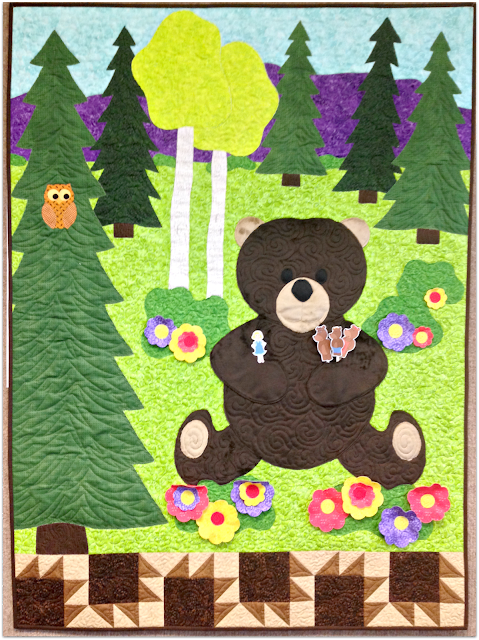 You may have seen my Aunt Marjory's quilt and the story behind it here: Bear In Mind, Owl Always Love You. The digital version of this pattern is now available HERE! If you don't get a chance to visit the Museum of Art in Springville, Utah before September 16th, click HERE to see some of the amazing quilts on display! These quilts are both SO adorable! Sew cute!! I love the 3-D on them. Deonn, Congratulations for having your quilts on display! 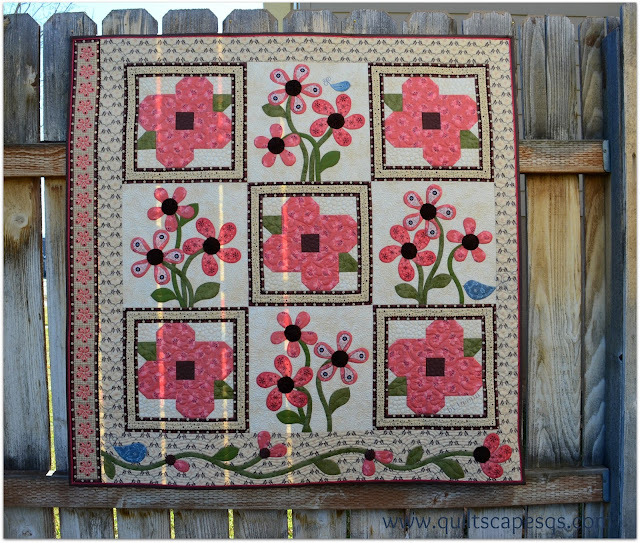 The flowers, the birds, the quilting...gorgeous. I love the little pocket for Goldilocks and the bears. Too cute! These are adorable and perfect for a cute, quick gift. 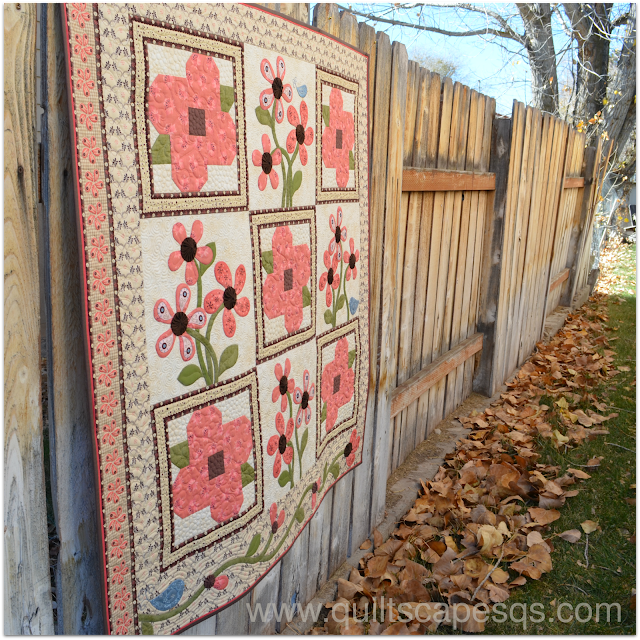 Thanks for sharing your quilts. 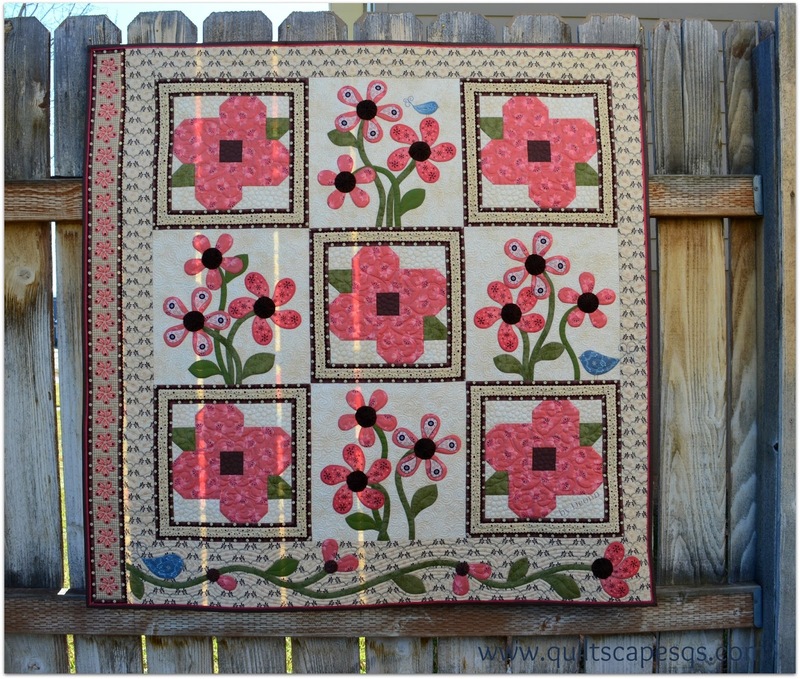 I especially like the first quilt, although they are both sweet.